The Liptak group aims to advance fundamental understanding of molecular electronic structure in complex chemical systems where this knowledge can transform the development of new antibiotics and clean energy technologies. In order to achieve these goals, we have developed diverse biochemical (recombinant protein expression, purification, and air-sensitive sample handling), spectroscopic (fluorescence, magnetic circular dichroism, and nuclear magnetic resonance), as well as computational (density functional theory, time-dependent density functional theory, and multi-reference perturbation theory) expertise. We seek to elucidate the enzymatic mechanisms of non-canonical heme oxygenases, with the expectation that these insights will aid the development of novel antibiotics. For Mycobacterium tuberculosis MhuD and Staphylococcus aureus IsdG, more than one S = 1/2 substrate electronic state is populated based upon spectroscopic characterization. Computational modelling revealed that the near degeneracy arises from a double well potential energy surface along the rufflilng coordinate of heme. 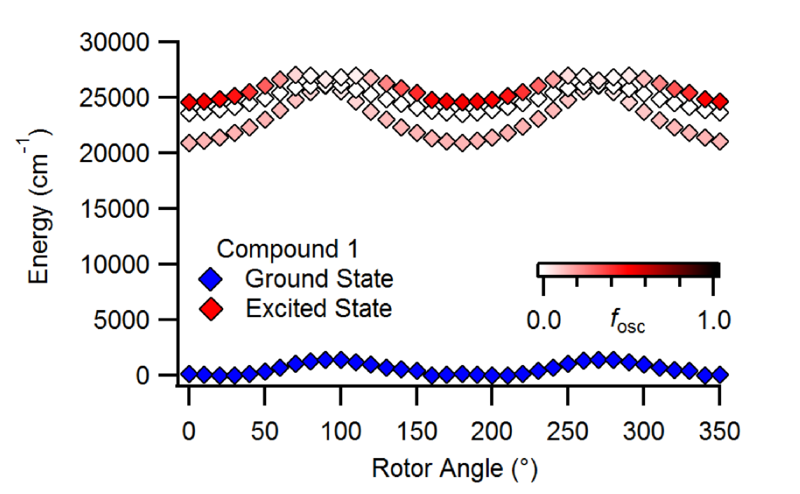 The more ruffled conformation is critical for monooxygenation of heme to meso-hydroxyheme, and we are investigating the function of the less ruffled conformaiton. 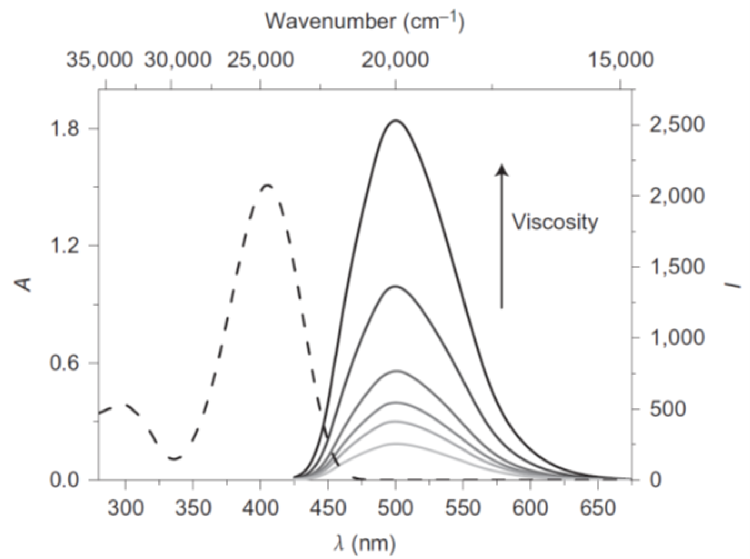 We also work to reveal the photophysical mechanisms responsible for aggregation-induced emission (AIE) in order to expedite the development of next-generation lighting technologies. 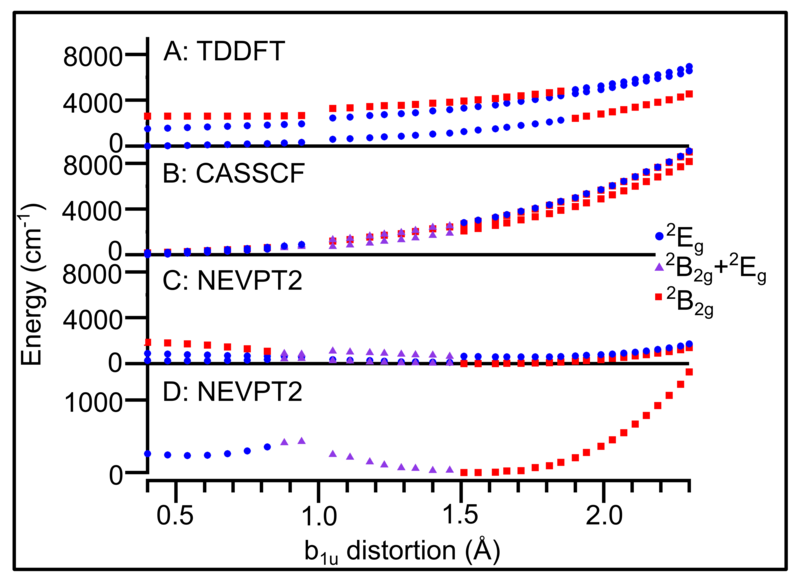 Boron difluorohydrazone fluorophores exhibit viscosity-dependent emisssion, but not polarity-dependent emission, which means that their AIE does not arise from the popular twisted-intramolecular charge transfer (TICT) mechanism. 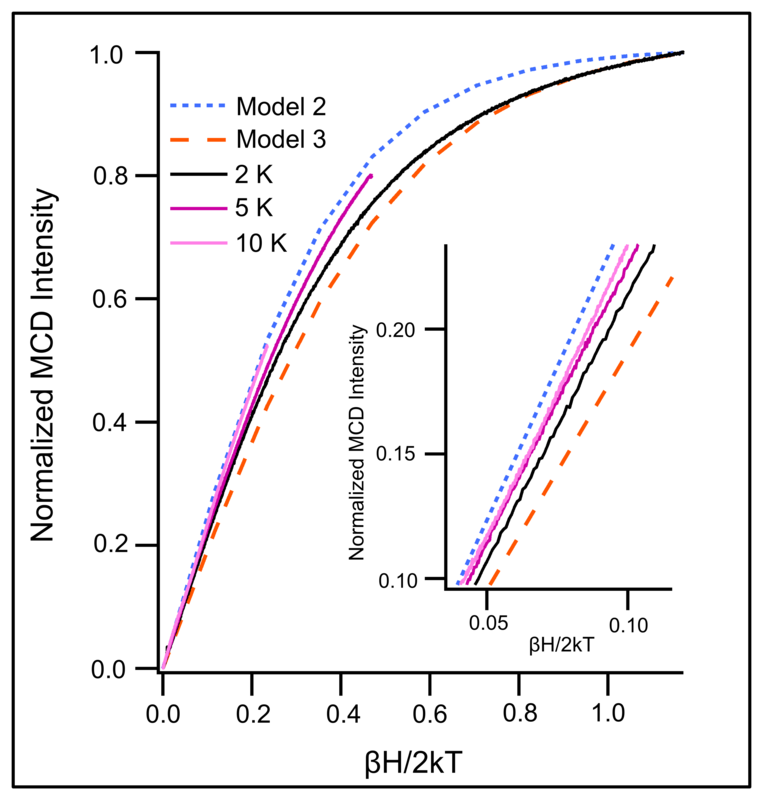 Computaional modelling has led to the proposal of the suppression of Kasha's rule (SOKR) mechanism where access to a molecular conformation that promotes internal conversion is suppressed. We are currently screening several new compounds as potential AIE fluorophores due to the SOKR mechanism. Researchers in the Liptak group learn a variety of biochemical, spectroscopic, and computational skills in addition to management of a research project from the first experiments to journal publication. As a result, graduate student alumni have secured jobs in both academia and industry. The majority of undergraduate alumni have moved on to graduate programs in chemistry. We currently have one opening for a postdoctoral associate interested in metal tetrapyrrole degradation. The ideal candidate will have a background in synthetic inorganic chemistry, and an interest in learning biochemistry and/or spectroscopy. Please contact Prof. Liptak (mliptak@uvm.edu) for more information. We will have one opening for a graduate student interested in the biochemistry of metal tetrapyrroles in Fall 2019. Please contact Prof. Liptak for more information (mliptak@uvm.edu).